Kate and Chelsie: The Ritz, Madrid- Timeless Perfection. Flamboyant attire at Royal Ascot, thrilling matches at Wimbledon, live music watched by thousands of fans at Glastonbury; all combined with somewhat erratic weather. This can only mean one thing; it is summer time in the United Kingdom! We spent some time deliberating where we would enjoy our summer city break and decided the splendid Spanish capital Madrid would be the perfect location. Madrid is a city with its own unique, captivating charm. The beautiful Spanish architecture, rich history, artistic flair and energy combined with fabulous food and drink in the European sunshine ensures Madrid stands out for the right reasons. 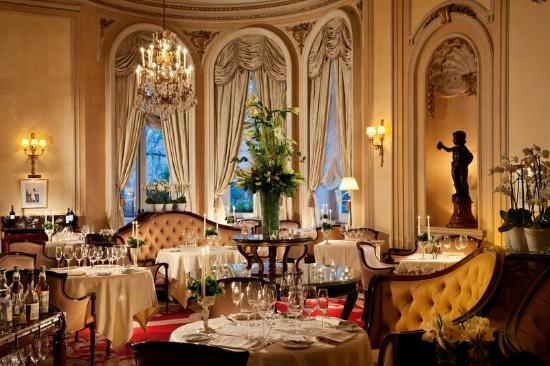 A short stroll from Madrid’s city centre your eyes will be drawn to the delightfully glamorous Ritz Hotel. This five star hotel has an unspoken yet impactful aura of luxury; its white exterior is perfectly complimented by the entrances lush grass feature adorned with flowers forming the letter ‘R’ and the polite, suited doorman eager to greet you. Despite the hotels obvious beauty, the legacy behind the Ritz Madrid is arguably its most endearing feature. The hotel itself was built in 1910 under the personal supervision of Cesar Ritz on the explicit wishes of the King of Spain Alfonso XIII, in a bid to directly rival the Ritz in Paris. The present day Ritz Madrid is part of the exclusive Orient Express collection that has perfectly captured the bygone elegance, and spirit of the hotel whilst incorporating the much desired modern touches. We were particularly impressed with the extensive list of famous faces that have stayed at this hotel including; The Prince of Wales and Princess Diana, Nelson Mandela, Margaret Thatcher and Al Pacino to name but a few. From the moment we stepped into the Ritz as cliché as this may sound it felt magical. The surrounding decor perfectly complemented the ambiance of the hotel. The lobby had a beautiful chandelier, which suitably lit-up the room, whilst the bright fresh flowers located on a table in the centre of the room yielded a glorious scent. Our check in was swift, and engaging which further confirmed our initial hunch that we were in expert hands. We were personally guided to our bedroom by a member of staff who enquired about our travels, provided us with some suggestions for enjoying the city and informed us about the bedrooms. The Ritz Madrid has adopted unique decor for each room; the bedding is equipped with embroidered linen sheets and there are options for different pillows to compliment your preference helping to ensure you get an excellent night’s sleep. The rooms also have marble bathrooms filled with suitable amenities and stylish yet comfortable bath robes. Once we were settled into the room, we were left to unpack and marvel at our bedroom. The bedroom made us feel like royalty. We really liked how the room was spacious, airy and perfectly presented. An additional touch that we found especially pleasing was the exceptional personal touch; for example when we returned to retire for the evening our beds had been turned and a little chocolate sat on our pillow awaiting us. 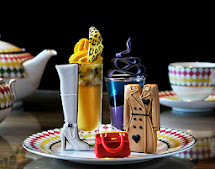 For those of you, who like us are, to put it lightly, fond of the afternoon tea pastime, or perhaps you are keen to try it for the first time, you will be delighted to know that the Ritz holds its very own afternoon tea. Afternoon tea is served from 4.30pm-7.30pm daily in two locations. The first location is outside in the hotels gardens where a live pianist serenades you with delightful melodies throughout your afternoon tea seating. The gardens are pleasing with large water features and bright flowers; once again in keeping with the very high standards of the hotel the area is spotless with well presented white furniture matching the colour of the hotel. The second location is inside the hotels’ lobby bar which is equally luxurious with its own charm for days when the weather is a little more reminiscent of the weather back home.